Do you want to discover science with the children in your life? Science is amazing! There are so many things to discover, but simply sitting in a classroom and reading a science textbook can bore children to tears. Science must be discovered, not simply read about. Science, and the technology engineering and math brought about by that science can be shared by adults and children and the best way to do this is with science toys. 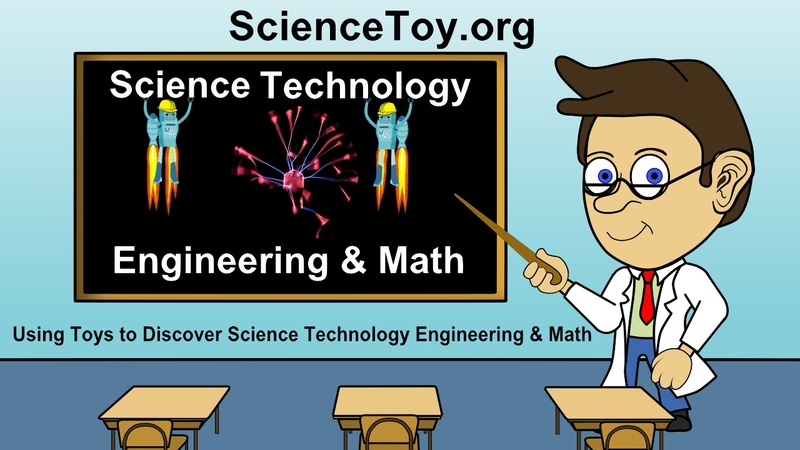 ScienceToy.org is here to help you enjoy spending quality time with the children in your life, while helping them to excel in science. You'll find: science toys, science experiments, science projects and science fun. Professor Gribbly has cracked the code, and this cartoon tells the story. No child wants to sit in a classroom and read a textbook, then try to remmber those facts for long enough to pass a test. Sadly, this has been the norm in most schools for decades. But, give them a toy that is designed to teach a scientific principal and this bit of learning will last a lifetime. One of Man's greatest achievments was inspired by a toy. That's right, if it weren't for the Wright brother's Father giving them a fying toy, we might not be flying today. Click the video and see their story. 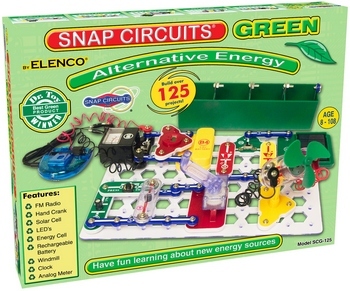 Why does Professor Gribbly prefer Snap Circuits® discovery kits? What is an Energy Source? Why are Drawing Symbols important? This is Professor Gribbly's #1 toy to discover basic electricity. See Professor Gribblys Cartoon Curriculum, Episode #2 where his helper robots teach children to build a basic electrical circuit. 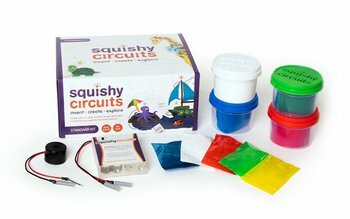 Squishy Circuits uses conductive and insulating play dough to teach the basics of electrical circuits, a perfect blend of play and learning! Our play dough kits, projects, and recipes teach problem solving and engineering concepts and inspire creativity and independent thinking. The standard kit includes everything you need to get started with some more advanced Squishy Circuits projects that use LEDs, buzzers, and insulating dough! Building with K'NEX puts children on a path towards a fundamental understanding of STEAM/STEM subjects. K'NEX Education sets come with lesson plans and experiment guides written by educators that feature hands-on, inquiry-based projects. All teacher guides and experiment guides are aligned to national standards, including ITEEA, NSES, NCTM, NGSS and Common Core. K'NEX Education sets let students build replicas of real-world machines to gain an understanding of the principles that make them work. 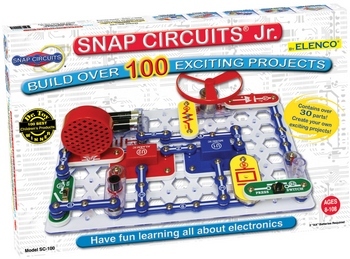 Snap Circuits®, Squishy Circuits® and Knex® are registered trademarks.